Voting is our clearest civic duty. Yet in the United States, often fewer than 50% of those eligible vote in general elections. Here in Vermont, participation rates are usually higher, but the fact remains: thousands of eligible Vermont voters let someone else decide who will govern them. Your opinion is important, and your participation is needed. To be eligible to vote in Vermont, you must be at least 18 years old and a resident of Vermont. When you first move to Middlesex, you must fill out a voter registration form and mail or deliver it to the town clerk. It’s easy to register by stopping in at Town Hall during regular business hours. Many people register to vote when they apply for a driver’s license or a car registration (a program dubbed “Motor Voter”). If you register to vote at the Department of Motor Vehicles or any other State agency, double-check with the Town Clerk at least two weeks before the next election to make sure your registration form was received. Voters who are added will be notified by mail. If you have registered but do not receive confirmation before voting day that your name has been added, contact the Town Clerk. 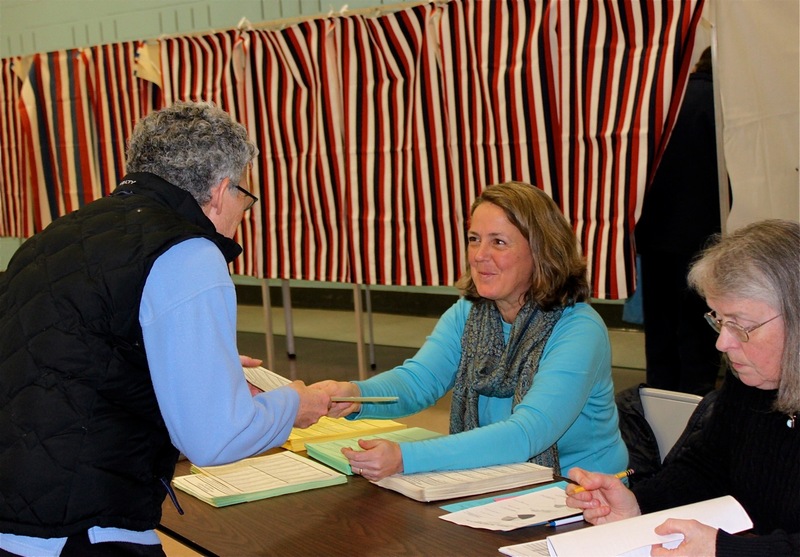 Middlesex citizens vote on Town Meeting Day (first Tuesday in March) and on Election Day (first Tuesday after the first Monday in November). They also vote in party primaries (second Tuesday in September), the Presidential Preference Primary (every four years on Town Meeting Day), and in special elections warned to decide a particular question, such as whether to borrow money for a specific purpose, or update the Town Plan. Contact the Town Clerk for voting location. Voting is always wheelchair accessible. Middlesex uses paper ballots; if a visually impaired voter needs a Braille ballot or some other accommodation, he or she should arrange this with the Town Clerk at least two weeks prior to the election. The polls are usually open from 7 a.m. until 7 pm on Election Day in November (10 a.m. until 7 p.m. on Town Meeting Day in March). On Town Meeting Day, Middlesex voters not only may vote at the polls for town officers, Rumney and U-32 budgets, and other items via Australian (printed paper) ballot, but also attend the evening Town Meeting to discuss and vote on other issues warned on the agenda. See “A Voter’s Guide to Town Meeting Procedures” section. When you enter the polling place to vote, you will be asked to give your name to a poll worker and will be given paper ballots for state and local races. You then step into a voting booth and vote in private. After you mark your ballots, fold them, and exit the booth, you will be asked for your name one more time before you deposit the ballots in the ballot box. Even though the poll workers may know you, they are required to ask for your name and to make certain it is on the voter checklist. The ballots are hand-counted by the members of the Board of Civil Authority and volunteers shortly after the polls close. The results of the election are usually available within two to three hours (and are posted at http://middlesexvermont.org). Maintaining a cadre of volunteer poll workers is essential to the integrity of elections. If you are interested in volunteering to help with the tasks that keep democracy strong in Middlesex, contact the Town Clerk. Many voters take advantage of Vermont’s early voting option. Formerly known as the “absentee ballot,” early voting is available to any voter who requests a ballot prior to voting day. You do not need to be out of town or ill to vote early. Contact the Town Clerk’s office if you are interested in voting early. You can either vote early at the Town Clerk’s office or have the ballot mailed to you. 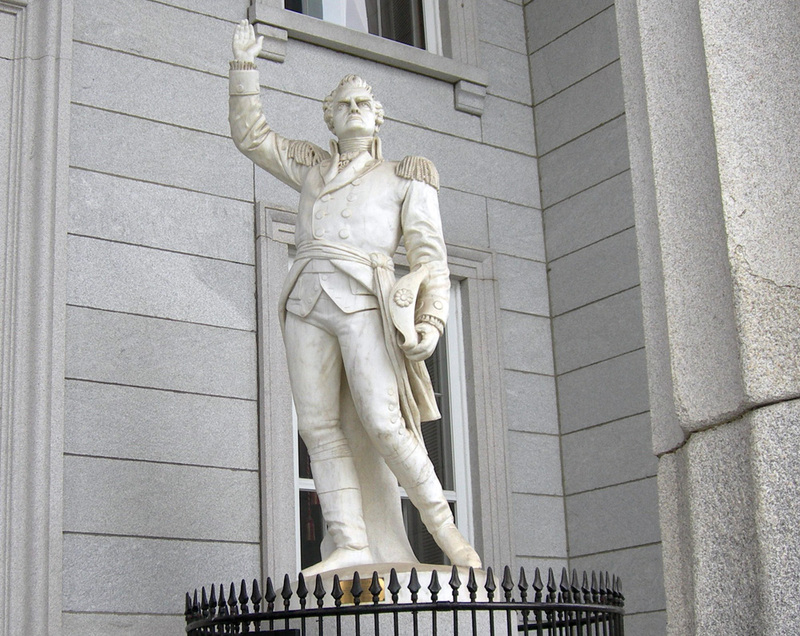 Ethan Allen was known as one of Vermont’s greatest statesmen. 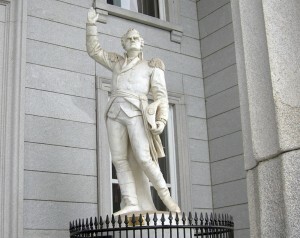 The General Assembly meets at the State House in Montpelier, usually from early January through mid-May (sometimes later). It enacts and amends State laws and, each year, must appropriate funds for the operations of State programs. Vermont’s legislative session is biennial, which means that it extends over two years; the first half takes place during an odd-numbered year, and the second half takes place the following year. A budget must be passed every year. Unlike many states in which being a legislator is a full-time job, Vermont still has a “citizen legislature,” people who have other occupations during the rest of the year. In addition to dealing with legislative issues, legislators can sometimes help you in dealing with State agencies. All legislators do “case work” for their constituents, and can be powerful allies in problem solving. The Vermont Legislative Home Page is at: www.leg.state.vt.us Information you’ll find at this site: scheduled committee meetings; bills, calendars, and journals; the legislative bill tracking system; text of bills and other legislative documents; minutes of selected committee meetings. You may see a ballot in advance. The Town Clerk has sample ballots for you to see at least ten days before the election. You have a right to assistance. You can get help marking the ballot. Ask an election official for assistance. Two election officials will help you. But no one can tell you how to vote! You can bring a magnifying glass or other device to help you vote. If you are disabled or ill, you may ask the election officials to bring a ballot out to your car. You can vote early or vote from home. 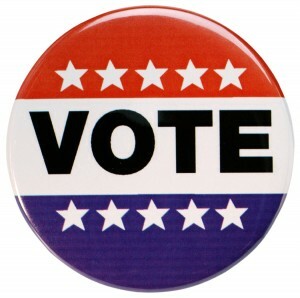 You can vote at the Town Clerk’s office or take a ballot home to vote anytime 30 days before the election. Call the Town Clerk or sign a request for and the Clerk will send you a ballot by mail. You can get a new ballot if you make a mistake. If you give your first ballot to an election official you can get another ballot to vote. You can get up to three ballots. You may write-in a candidate. If you wish to vote for a candidate who is not listed, write the name of the candidate on the write-in line. Or you may place a sticker with the candidate’s name on the write-in line. No one has the right to see how you voted or to ask you how you voted. Cast your ballot by folding and placing your ballot in the ballot box. Election officials are here to help you understand how to vote. They cannot help you decide who to vote for, and they may not tell you candidate names or party designations. If you are not sure that you are being properly assisted, ask to speak to the presiding officer. For more information, please contact the Secretary of State’s office at 1-800-439-8683. Middlesex Annual Town Report: Take A Look! Every year before March Town Meeting Day, the town’s annual report is mailed to all residents and taxpayers. Be sure to take a moment to sit down with the town report. You’ll be surprised how much you can learn. The town report includes the agenda or “warning” for the upcoming town meeting. Be sure to mark the date and time of town meeting on your calendar. Take a look at the list of warning articles for this year. Which will be discussed from the floor, and which will be voted on by Australian ballot? Take the time to look over the budget, and compare last year’s figures to this year’s. Read the reports of the committees—here, your neighbors share their thoughts on how the town has fared this year, and plans for the future. Do you have any questions to bring up at the meeting? Your town report is a great reference tool. Look it over when it arrives, and bring it along with you to town meeting. It is this year’s story of your community. Adapted from “How and Why to Read Your Town Report,” by the Vermont Institute for Government. Middlesex needs you. In communities all across Vermont, citizens take on the tasks of the planning commission, selectboard, listers, justices of the peace, among others. How about you? Getting elected or appointed to an office isn’t hard. First, look into which office is a good match with your skills and interests. Positions are listed in the town’s Annual Report, and many are described in these pages. Let this booklet be your invitation to join with your friends and neighbors in getting involved in local government. To run for local office, you have to be on the Middlesex voter checklist, and you’ll need 1% of the town’s legally qualified voters’ signatures on a petition for office. Signed petitions are due by the 6th Monday before Town Meeting Day (in late January). Contact the Town Clerk’s office for more information. Since 1762, town meeting has been the basic system of governance for Vermont towns. The annual meetings are held in most towns (including Middlesex) on the first Tuesday of March. Voters have an opportunity to speak, hear their neighbors, make amendments, and vote on budgets and other articles affecting the life of the municipality. At town meeting, the citizens act as the legislative branch of town government on issues of finance and governance. Voters of the town take binding action based on warned articles on the floor, usually after debate or discussion. Select boards and other town officials get their marching orders on appropriations and policy. At town meeting, voters are in charge. The warning and notice for town meeting are mailed to Middlesex residents within the pages of the town’s Annual Report. They are also posted in a least three public places in town, including the town clerk’s office. The warning and notice announce the date, time, place, and agenda of the meeting. They also give information on voter registration, including the cut-off date for applying for addition to the checklist. If the Australian (printed paper) ballot is used (as it is to elect officers in Middlesex), the warning and notice provide information about when the polls open and how to get an absentee ballot. The warning for town meeting is prepared by the selectboard: it includes articles proposed by the selectboard that deal with town business. Sometimes the selectboard will agree to include articles suggested by individual townspeople; otherwise, voters may petition to have articles added to the warning for consideration at the town meeting (as long as the subjects of the articles are not illegal, frivolous, or beyond the authority of the electorate). Petitions must be signed by five percent of the voters on the checklist, and the town clerk must receive petitions at least forty calendar days before Town Meeting Day. A petition should begin with the statement, “We the undersigned voters of the town, hereby petition the selectboard to add the following article to the warning for the annual meeting.” This statement should appear on each page of the petition. Examples of articles that might be added to the warning by petition include a request for an appropriation for a social service organization, or a proposal to change the size of the selectboard. Petitions may also cover political subjects, but they must do so in an advisory way. For example, an article might suggest that the electorate urge the legislature to adopt or prohibit something, or send a message to the United Nations expressing its position on a particular issue. Do your research well, however, keeping in mind that there are some things voters simply do not have the authority to do. Make sure your petition has a place for each voter’s signature, printed name and address. Get plenty of signatures (in addition to the minimum) to ensure that a sufficient number of names on your petition are legitimate voters. The Town Moderator is the presiding officer at town meetings. The Moderator keeps order, and ensures that the business of the meeting proceeds in a fair and efficient manner, and that those who wish have an opportunity to participate in the process. It is the Moderator’s job to put motions to a vote of the assembly, and to rule on all votes and other questions of order. The Moderator serves as the central, focal point of the meeting. All motions and remarks should be addressed to the Moderator, who has the right to order an unruly voter or visitor to the meeting to withdraw, on penalty of a $200 fine. The Moderator is the first official elected after the annual town meeting convenes, and serves a term of one year. State law explains that, “The article entitled ‘other business’ shall not be used for taking binding municipal action, and the moderator shall so rule.” Some Moderators will not entertain any motion when the town gets to “other business” on the warning. Others may allow non-binding motions, such as a motion to recognize the hard work of the road crew or town meeting organizers. Excerpted from “The Meeting Will Come To Order,” distributed by the Vermont Institute for Government. • Only warned articles can be considered at Town Meeting. No articles or subjects may be raised that did not appear on the warning. • Once an article has been decided, whether voted up or down, it cannot be reconsidered after the assembly has taken up work on another article; for an article to be reconsidered a new warning and meeting are required. • While Robert’s Rules require a majority vote to request a paper ballot, state law permits seven voters to request one. Robert’s Rules of Order is available in paperback and is published in various editions. You may wish to buy and read the latest edition; you can even bring your copy to town meeting, and use it to raise issues of procedure with the Moderator. Don’t worry! If you’re not familiar with Robert’s Rules, don’t let that keep you home from town meeting. Most of the discussion methods are common sense, and the Moderator is trained to lead the group through all procedures. What’s most important is your participation. If in doubt, just raise your hand and ask. Example: “I move to accept Article 6 as written.” Each article on the warning must be “moved” and seconded; it is then ready to be discussed by the group. In discussion, citizens raise their hands and are called on by the Moderator. When you are called on, stand up, state your name, then speak your mind. “Amending” a motion means proposing a change to the motion. Example: An article is moved and seconded; then, during discussion, someone says “I move to amend Article 17 by reducing the dollar amount from $10,000 to $5,000.” After someone seconds this, debate shifts to discussing this amendment. Once people have discussed the amendment, the Moderator puts the amendment to a vote. If the voters reject the amendment, the group now returns to discussing the original main motion. If voters approve the amendment, the discussion focuses on the main motion as amended. After the group deliberates on a motion and the Moderator feels all points of view have been heard, s/he will call for a voice vote. If you are in favor of the motion, you will say “aye.” If opposed, say “No” or “Nay.” The Moderator will then announce the results of the vote. Another forms of voting you may expect to see at town meeting is a show of hands or a standing vote. This may be asked for if the Moderator feels the voice vote was too close to call, or if a voter disagrees with the Moderator after the results of a voice vote is announced. And for any vote, any voter may move that the vote be taken via paper ballot; if seven voters support this motion, pieces of paper will be distributed and each voter writes their vote. Sometimes a checklist and a ballot box are used in this method; sometimes tellers simply collect the ballots and count them on a table in front of the room. If you don’t understand a ruling of the Moderator, speak up, saying “Point of order, Mr. (or Ms.) Moderator.” After the Moderator recognizes you, ask your question. If at any time you disagree with a ruling of the Moderator, you may appeal his or her decision. The Moderator is obligated to ask the assembly, “Shall the Moderator’s decision be sustained?” If a majority of voters say “no,” the Moderator’s ruling is overturned. Sometimes it becomes clear to voters that they don’t want to vote “yes” or “no” on an article; they would prefer not to vote on the article (main motion) at all. Traditional Vermont Town Meeting practice calls this a motion to “pass over” the article; if offered after a main motion is made, a simple majority is required. If voters feel that debate on a certain article could go on all night if some control mechanism were not in place, someone might move to limit debate, say to a total of twenty minutes. If two thirds of the voters agree, debate can be so limited. In a case where debate has gone on long enough—voters have made up their minds but some people are still repeating the basic arguments—a voter could move to cut off debate, also referred to as “calling the question.” Once moved and seconded, calling the question is a non-debatable motion. If you agree that all voices have been heard and you are ready to vote on the issue at hand, you should vote in favor of calling the question. However, if you want to continue discussion, you should vote against calling the question. Two thirds of the group must vote yes on calling the question in order to cut off debate; otherwise, discussion continues. Remember that citizens have come to the meeting to speak and to hear each other’s viewpoints. In most cases, it is not necessary either to limit or cut off debate; the Moderator will simply call for a vote when s/he feels that all points of view have been heard. This avoids having to vote on calling the question. Remember that a Town Meeting can’t take up an issue unless it is warned. The same general principle applies to amendments. You can’t take an article to buy a truck and amend it to buy a road grader, because the amendment raises a subject that hasn’t been warned. For the same reason, you can’t convert an article to raise money by taxes to an article to borrow money to pay something. Amendments must be germane to the motion they seek to amend: amendments must relate to the motion. An amendment cannot introduce a new and independent question or raise an issue (disguised as an amendment) previously decided by the assembly. Adapted from “The Meeting Will Come To Order,” distributed by the Vermont Institute for Government. In Middlesex, you can participate in town meeting even if you are homebound due to illness, or abroad in the military. Since 2008, volunteers on the Solutions Committee have made it possible for Middlesex voters in remote locations to participate in town meeting. The goal of this project is to allow participation by those who physically cannot attend (for instance, due to mobility issues or because they are out of town due to public service) while maintaining an efficient and vibrant town meeting for those who are in the meeting room. Via phone and internet, remote participants are able to see and be seen, hear and speak to the assembly from afar, and vote in show-of-hands and voice votes. No experience is necessary, and volunteers are glad to help with any equipment or set-up needs. As far as we know, Middlesex is unique in Vermont in offering this service. We are proud to break new ground in democratic accessibility, while working to maintain the face-to-face town meeting that Middlesex residents value. If you would like to use this free service, please contact the Town Meeting Solutions Committee (see contacts). Listen Actively. When others are speaking, stay engaged. Try not to tune out in order to formulate your response; instead, work to find the underlying meaning of the speaker’s words. You may find out you have more in common than you think. Speak respectfully. Conflict is a natural part of life, and it’s good common sense to be constructive in our confrontations. At points of conflict, stay away from personalities, and stay focused on the issue and possible solutions. Ask questions. If someone isn’t being clear, they’ll be glad you gave them a chance to clarify themselves. And if it’s the process that confuses you, chances are at least one other person is wondering about it, too. Raise your hand and ask. Use your imagination. Usually, there is an answer out there that meets the most important needs of the diverse parties. Celebrate and appreciate your neighbors. Perhaps one of the nicest sights at the end of a town meeting is two people who were on opposite sides of a debate shaking hands and chatting. Participation takes work, and we can all appreciate those who care enough to speak out about our community. Keep your sense of humor. After all, Vermonters are known for it.